Coleman At His Finest. How AGW Began. Hey there! Thanks for dropping by Eyes on Browne! Take a look around and grab the RSS feed to stay updated. See you around! “Adelaide to set a new high temperature record.” There has been a lot of talk lately in Australia about temperature records of the hot kind. 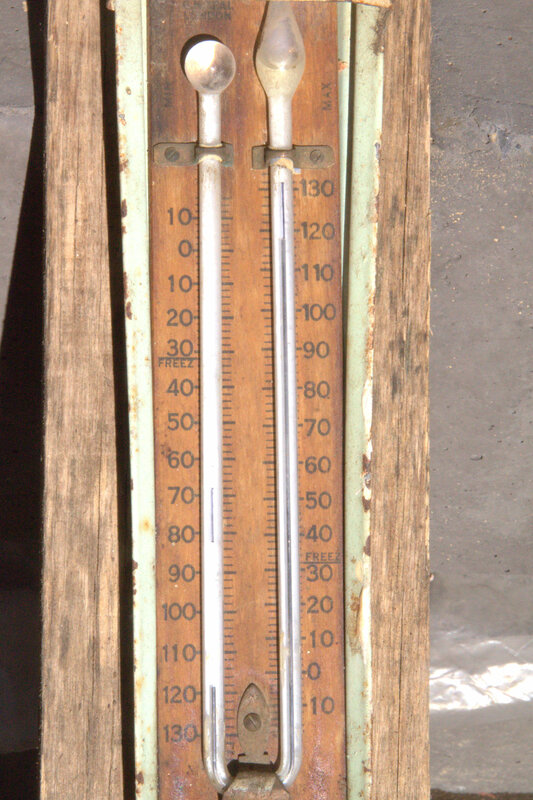 Here in Adelaide we were supposed to surpass the “all time” highest day time temperature, which is listed as 46.1° C, set on the 12th Jan 1939. The other day, one of my more senior customers was chatting to me about this (he brought it up btw), and said he remembered that day, as he was sitting a Uni exam at the time. He remembers the media on the following day stating it had reached 117° F.
Now, the official record from Bom says the highest recorded daytime temperature for Adelaide is 46.1°C (114.98°F) as stated above, however the Adelaide Advertiser news paper for the day after the 12th shows the maximum temperature as being 117.7° F for the 12th of Jan 1939 (see below), which translates to 47.6°C. 1.5°C above the currently listed record. So it seems my very astute customer’s memory was quite correct. Thanks Lyall. Not bad memory for 75 years ago. 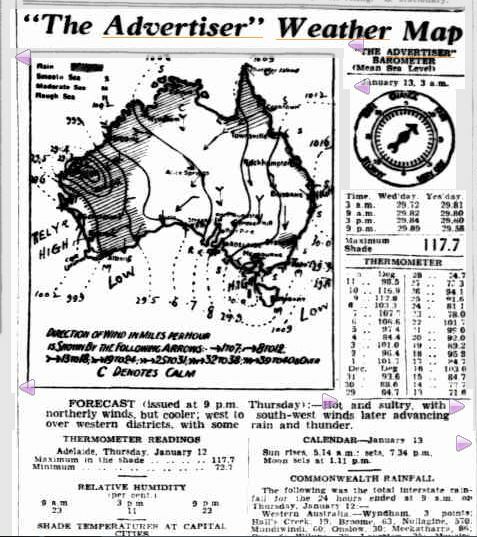 My next question is though, why is the reported temperature from 1939 so different from the current Bom official record? Seems, the Bom likes to alter the official records from the past, in many locations including Adelaide, and they all appear to be lower than the original raw data. The collection of weather data was collected meticulously at the West Tce Bureau of Meteorology site from the 1800s right up to the late 1900s. So, when is a record not a record? When you have the power to change the past it would appear. When is Kiribati like Sea Ice in the Arctic? $1400 More on your Electricity Bill? Before you comment on “saving the world with re-newables”. I would be an Environmentalist, but….. The structure of the electron.